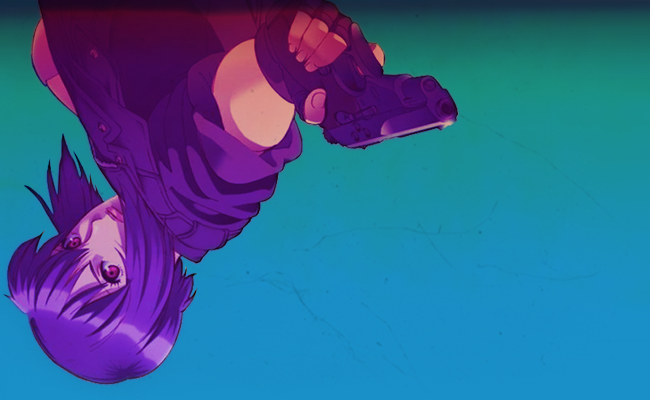 Hard Shell is the Anime Fanlistings Network approved listing for Major Motoko Kusanagi, the cyborg squad leader of Public Security Section 9 from the world of Ghost in the Shell. The talented Jordana has been kind enough to donate over 20 lovely code buttons in a few different sizes to the fanlisting. Hard Shell has also added her four Kusanagi-related fanlistings as affiliates: Follow Me: for the Motoko/Batou relationship, Section 9: for Ghost in the Shell: Stand Alone Complex, Sacrifice: for the song "Rise", and Siren: for English voice actor Mary Elizabeth McGlynn. All feature beautiful layouts and are well worth a visit. The basic fanlisting portion of the site is now online with over 30 codes ready to be uploaded to fan websites! Further tweaking of the layout is required, to be followed by the addition of some desktop wallpapers + user avatars. This fanlisting is hosted by and part of Elegant Machine.